Happy new year everyone! It has been a while since I've blogged - my little boy is 2 months old now and getting bigger by the minute - but he is certainly a handful! I've been doing some wedding stationery orders and even co-ordinated a beautiful castle wedding on New Year's Eve in Cloghan Castle in Galway ( that will feature on the blog in a few months), but it is only now that I am starting to get back to normal, and my brain is beginning to work again so that I can write about my favourite topic - weddings! From here on out you'll be enjoying weekly inspirational blog posts to help you plan your wedding. For my first post of 2016, I'm talking about rose quartz and serenity - not the precious stone and the mood (although you should definitely practice being serene for your wedding!) - but the Pantone Spring 2016 colours. Usually they pick just one, but we have been blessed with two beautiful shades which I think will work for any season this year. 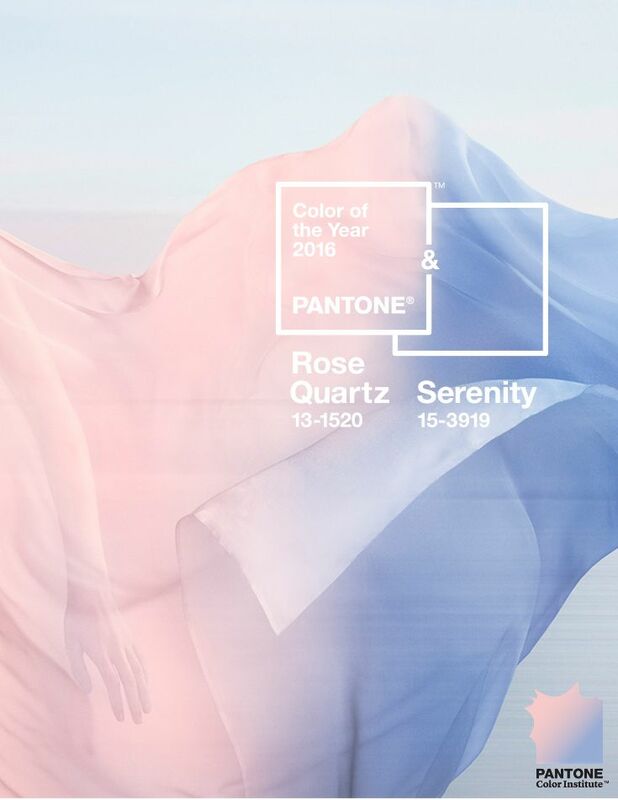 Rose quartz is a soft rosy pink, while serenity is a beautiful, cool blue tone. Both are quite gentle colours that will create a beautiful colour scheme for your wedding, either alone or together. Serenity would look awesome for a winter or early spring wedding combined with whites, creams and metallic shades, or combined with a deeper blue or emerald green for a summer wedding. Rose Quartz is ideal for a late spring or summer wedding, combined with fuchsia pink and sparkling gold. Alternatively, team it with deep shades of red and copper for an autumn celebration. [gallery ids="1432,1433,1434,1430,1428,1427" type="rectangular"] Images via Weddbook, Ross Simons, Hey Wedding Lady, EC Invites, Fab Mood, Style Me Pretty [gallery ids="1445,1447,1446,1449,1450,1448" type="rectangular"] Images via Invitations by Ajalon, Style Me Pretty, Etsy, Hello May, Aisle Perfect What do you think of these two beautiful colours? Will you be incorporating them into your 2016 wedding? Let us know in the comments!